Why is Dez Bryant Still a Free Agent? It's hard to believe that Wide Receiver Dez Bryant has remained a free agent for close to three months now since being released by the Dallas Cowboys in mid-April. What does his enduring unemployment say about the receiver and the perception of him around the NFL? Teams have a variety of reasons for not being interested in Bryant. For some, the most obvious answer is that they're already set at receiver and don't have a spot for him. Other may have interest but not the cap space to make it happen. Dez still think he's a franchise player in the NFL, which means he's not going to accept a pittance to come play. Even for just a one-year, "prove it" season, Bryant still wants to be compensated for what he thinks he's worth. Several weeks ago, it was reported that Dez turned down an offer from the Baltimore Ravens for three years and about $21 million. That would've locked him in at the kind of money a second or even some third receivers make; not what he thinks he's worth. Unfortunately, Bryant's perception of his own value is probably not consistent with the majority of NFL teams. The first thing any team should do when evaluating a released player is ask, "why did his former team let him go?" It wasn't like the Cowboys had a wealth of WR talent to replace Dez Bryant. They signed Allen Hurns, whose never been a star, to join guys like Cole Beasley and Terrance Williams. On paper, even with Hurns, Dallas has one of the weakest WR groups in the league. That sends a major statement to other teams. 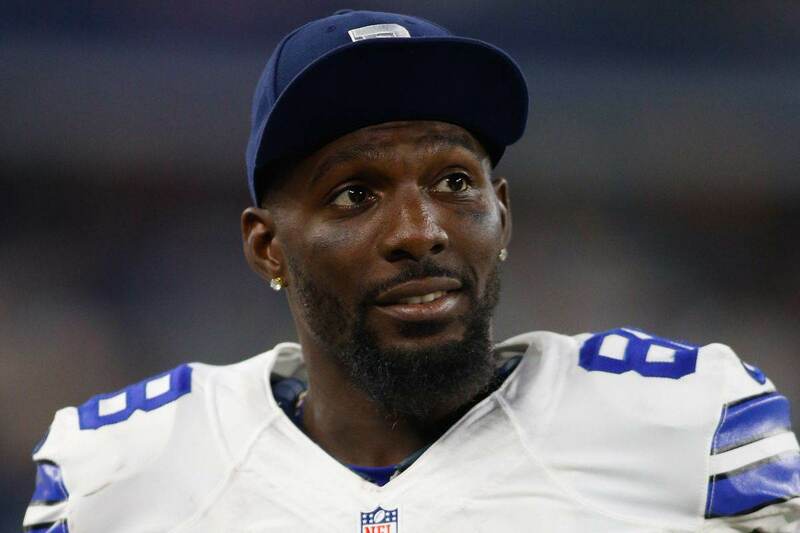 The Cowboys wanted to move on Dez despite having little in store to replace him. It's almost like they're hoping for addition by subtraction. To a new team, the concern becomes subtraction by addition. Other teams have seen Bryant's sideline tirades. They've picked up the scent of issues between Bryant and Dak Prescott. They also remember the stories from Dez's past, be it domestic issues, lawsuits, or mysterious events in Wal-Mart parking lots. None of this is concrete but it sends up a lot of smoke. And given Bryant's age and waning statistics, plus the clear decline in his impact on the field, it can be more than a potential new team really wants to risk. Obviously there's some interest out there with the Ravens' offer, but Bryant's refusal of that deal may have turned off some other teams as well. It's a sign that he still sees himself as something they don't, and that could lead to more of the locker room issues they're worried about. This doesn't apply across the board, of course. Baltimore was obviously willing to deal with whatever red flags existed, and give Dez the security of a three-year deal. They saw value in him. That Bryant is still a free agent may also just be a matter of timing. He wasn't a free agent until shortly before the draft, when teams were more focused on that part of the offseason. But if you're going to bring in Dez Bryant at some point, you'd have liked him to be part of OTAs and minicamp. It'd be nice if he and your quarterback were working on things before you get to training camp. There are still several weeks for Bryant to get signed and be in camp with a team. It's hard to imagine he'll still be unsigned by then. But if he is, it will tell you a lot about why the Cowboys released Dez to begin with. What if Cowboys K Dan Bailey Doesn’t Bounce Back?